Laura flees Denver, seeking a new start from her troubled family and from the toxic patterns she fears repeating. She finds a new direction, new faith and new friend in Montrose in the person of Dolores, an older woman who helps Laura believe she can forge a different path. “Dolores, Like the River” is the true story of Laura Padgett of Lakewood. She shares her setbacks and struggles, while honoring the powers of faith and long-lasting friendship. 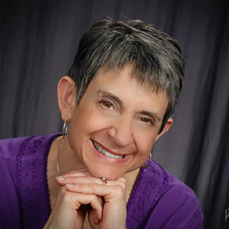 Now retired, Padgett is a writer, inspirational speaker, competitive dancer and dance instructor. She teaches Irish step dance and interpretive liturgical dance. She also blogs at lauralpadgett.com. We caught up with her between book promotional appearances, from her home in Lakewood. Laurena Mayne Davis: Talk about your personal connections to Grand Junction and Montrose. Laura Padgett: My parents were from Grand Junction. My aunt, Fern Cook, lived there most of her life. Most of my cousins live in Grand Junction. I moved to Montrose in 1976 and lived there for 10 years. Many of my friends, and people in my book, still live in Montrose. I continue to visit the Western Slope at least twice a year. Davis: Dolores is such a wise and guiding force — the mentor/mother/grandmother every woman needs. How can other women find their own Dolores? Padgett: Be open to relationships with older women. Be willing to listen, learn and understand the older generation has inner beauty and wisdom to offer. Never be afraid of the aging process or those becoming elderly. The right person or persons will come along. I still have several mentors. Davis: You’ve honored Dolores’ memory and influence lovingly in this book. How would you like to be remembered? Padgett: I hope people, especially my dance and writing students, remember me as a woman who taught them how to give themselves permission to be what others said they could not be, to do what others said they could not do, and to self-define through the lenses of their truth, beauty and freedom. Davis: You changed your own self-destructive behaviors, such as angry outbursts, which were a product of your dysfunctional home life growing up. Why do you think you were able to change your life so drastically when many people in similar situations never do? Padgett: Gosh, I wish I had the answer to this; I could be a very rich little gal. I do not know why this was true for me and why it is not true for some. I still battle my own demons. It is just that I had Dolores and Aunt Fern, along with many others, who loved me enough to help me see that I am not a demon. Davis: Your success as a scholar, dancer and writer — all after the age of 50 — should be an inspiration to the late-bloomers out there. What words of advice would you like to offer them? Padgett: Even though you are a late-bloomer, you are still a beautiful flower in the garden. Flowers do not just pop up overnight. They grow from a seed, into a stem, then a bud and finally, in maturity, offer their full array of gifts. As people, especially women, this is also true. It takes time. Find your giftedness, accumulate support, and move toward making this world a better and more beautiful place. It is now that you truly have something to say. Find your voice and don’t be afraid to use it. Davis: You write about your struggles with reading, yet you use literary devices such as foreshadowing, repetition and parallel structure in your writing. How were you able to improve your skills as an adult? Padgett: I was educated in the Jesuit tradition at Regis University in Denver. Jesuits do not teach you what to think, they teach you how to think and to honor your processes. My thought processes generally present through my physical world: the world of dance. All of the things you mention above are part of dance, and dance is often a form of storytelling. I was allowed, actually encouraged, to think and learn by employing, refining and translating many elements of dance into the art of storytelling. Davis: Talk about how sacred dance heightens the experience of worship. Padgett: In sacred dance, emphasis is not on the dancer, performance, precision or perfection. Therefore most sacred dance is simple and repetitive, encouraging inclusion. Through freedom from self-consciousness around the body, one is more able to open and offer the whole self in worship. The dance becomes a rich medium for God’s guidance, instruction and many times healing as one feels truly accepted and loved. Davis: Where is “Dolores, Like the River” available, and do you have any signings or other appearances in the near future? Padgett: From Westbow Press, Amazon, Barnes and Noble and most online book retailers. Getting older shouldn’t imply that a person becomes less beautiful — instead, it should carry with it a redefinition of what beauty means. Padgett will be doing a book signing at the Denver West Barnes and Noble, 14347 W. Colfax Ave., 2-5 p.m. on March 8. Dolores lived to be 100, and during their 35 year friendship she taught Padgett all about the gifts of aging, and finding beauty in the process. While the book focuses on changing views of beauty, it also deals with issues of addiction and divorce. In a way, Padgett said the book is about the idea of a “sacred feminine” and the fact that it can be a kind of rebellion to ignore society’s claims about aging. Instead, people should focus on how they treat other people. “Dolores was kind of a rebel — for her, it was just about loving people,” Padgett said. A longtime Montrose resident is the focus of a new book by Laura Padgett. 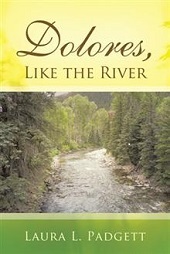 “Dolores, Like the River” details a faith journey while chronicling Padgett’s 35-year relationship with Dolores Gross and the Western Slope. While she lives in Lakewood these days, Padgett came to Montrose when she was 26, where she met Gross. Padgett said she met Gross through church. She had been attending a small church in the area when she was invited to a Bible study. She noted that when she first stepped into Gross’ home,she was warm and welcoming. “From there, she was always with me at every major juncture of my life,” Padgett said. Padgett said the book is mainly about mentorship and growing older. She says society does not value aging any more, noting how the thought that the elderly are in the way and a burden on society has become more prevalent.